"F2P Dark Souls + Blinding of Issac + Lolipop Chainsaw? Count me in." 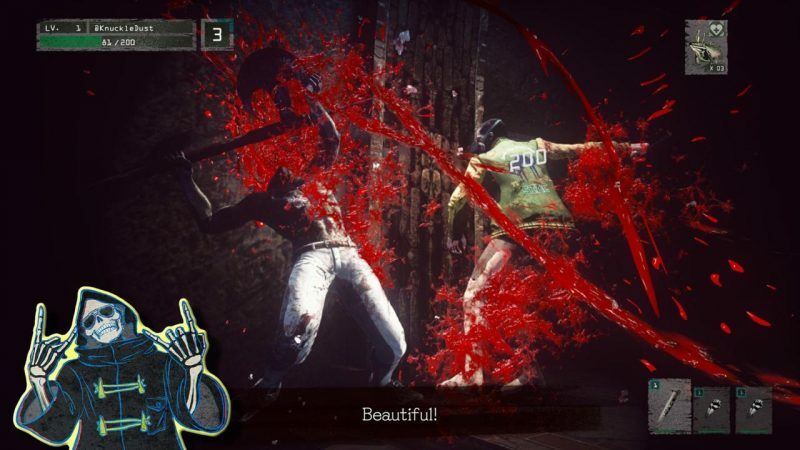 What do you get if you combine the brutal difficulty of roguelikes like The Binding of Isaac, the slow and methodical skill-based gameplay of Dark Souls, and the wacky violence of Lollipop Chainsaw? 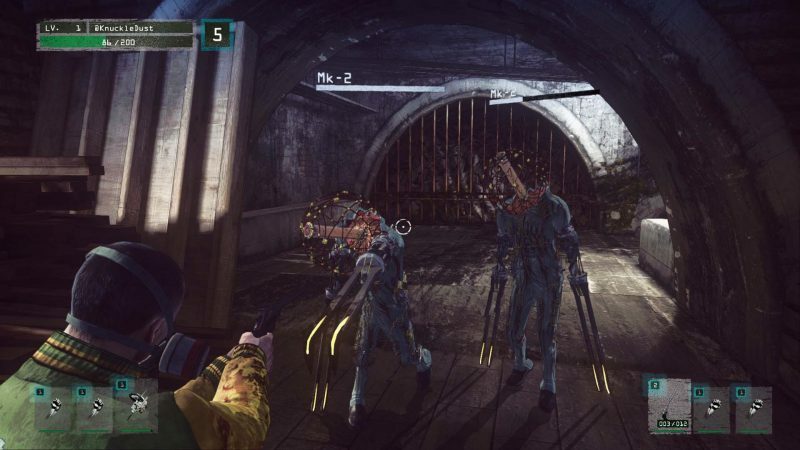 Probably something like Let it Die, the free to play hack-and-slash game released for the PlayStation 4. 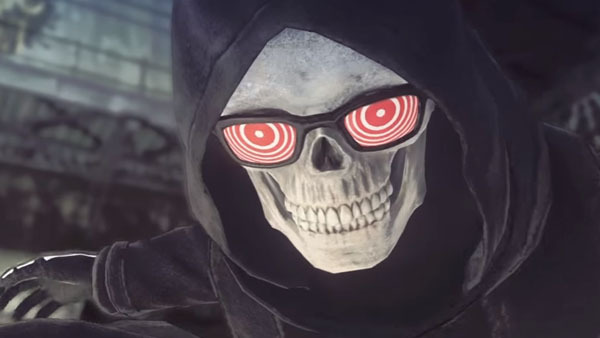 First revealed in 2013, Let it Die is the first game developed by Grasshopper Manufacture. This is the studio behind such wacky and wonderful titles as Killer 7, No More Heroes, Lollipop Chainsaw, and Killer is Dead following their acquisition by Gungho Online Entertainment. If you haven’t played any of those games, the hallmarks of their games seem to be gory, violent hack-and-slash gameplay. They're also mixed with downright bizarre amalgamations of Japanese pop-culture, heavy metal, and clichés ripped from American films and television. In this way, Let it Die is no different. Your tutorial is provided by a skateboarding skeleton named Uncle Death, heavy metal music blasts in the game’s hub area. The supporting cast ranges from stereotypes taken straight from anime and television to weird folks that seem entirely out of place. For a better idea of the tone the game is setting out to create, just check out the official website. At its core, Let it Die has a simple premise. You play as an unnamed fighter (well, technically all of the fighters are given random names. However you really aren’t a “character” so much as a meat thrown into a grinder) who is tasked with ascending a tower that rose up out of the ocean following a series of seismic disturbances that reshaped the Earth’s continents. As the game officially puts it, “Players enter the world with nothing but their underwear and must fight to survive in the post-apocalyptic world that awaits them.” The core gameplay loop is fairly straightforward. Players ascend the tower, fighting monsters and collecting gear, loot, and materials for crafting. You can periodically return to the bottom floor to recover, level up stats, and buy or craft new items. The game has an abundance of gear, armor, and consumable items. Players will be switching out constantly as weapons break and new ones are found. It’s a simple enough premise, but a wrench is thrown in with “death data”. When a player dies, their data is circulated among all of the other players of the game. Their corpse will appear as an enemy to try and stop other players from ascending. This means that hidden amongst the low-level or easier mobs could be a high-level, well-equipped former player waiting to erase all of the progress you’ve made in a run. The game is brutally difficult. Dying can mean losing all of your gear. In other words you start, once again, at the bottom of the tower in just your underwear. To get your gear back, you have to defeat your previous corpse, which means fighting a high-level enemy that is likely better equipped than you. At times, the game can be frustrating. Whether a chest contains a great weapon like pistol or just a handful of coins is purely luck. That can be frustrating when a good weapon is the difference between life and death. To make matters worse, you can spend coins to buy old fighters if you want to keep using a previous one. Gathering the coins however can be difficult when you’re first starting out. Expect to die a lot, and go through a lot of under-leveled fighters. The game also has this annoying habit of drowning you in information. There are dozens of pop-ups explaining how items and combat work, where to get tips and advice, traveling between levels, etc. The game is incredibly complex, but none of the complexity is explained well. Learning how to play is best done through trial and error rather than reading the endless series of tutorial pop-ups. In this sense, the game’s strongest comparison is Dark Souls. The asynchronous multiplayer aspect is strongly reminiscent of invasions. The core component of brutal difficulty learned through trial and error is the same design philosophy too. In much the same way, Let it Die expects the player to be willing to fail. To get the most out of the game, you have to be willing to explore, take risks, and deal with the frustration when those risks don’t pay off. And sometimes it’s best to know when to quit. Oftentimes running away can be a viable strategy when you’re faced with an enemy you have no real chance of defeating. In much the same way, I found Let it Die to be compulsively playable. It’s also easy to get into a session. The game’s structure makes it easy to start a new run with a new character or pick up an old one. It's also a punishing and often-unforgiving game. Once the mechanics are mastered it possesses that addictive “just one more level” quality. 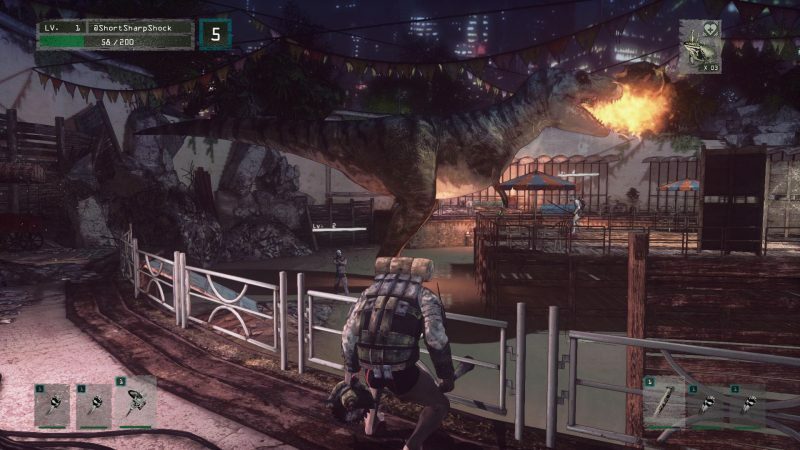 It’s easy to lose yourself in the wacky, violent world of Let it Die. If you’re willing to overcome some real drawbacks like the high difficulty and confusing tutorials, it’s a deep, addicting, and rewarding experience. It may be the weirdest game I’ve played all year, but it’s definitely worth your time. Besides, it’s free!